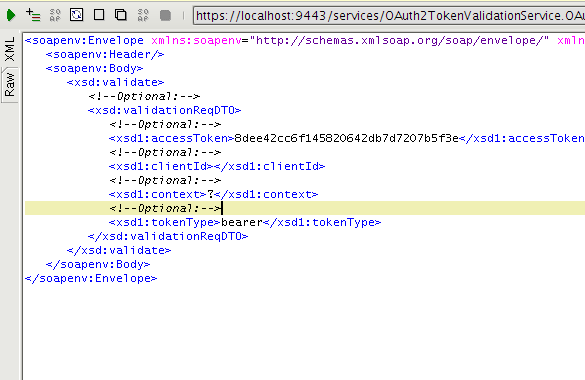 1) Change the CARBON_HOME/repository/conf/identity.xml and make following attribute true. Then start the WSO2 Identity server. 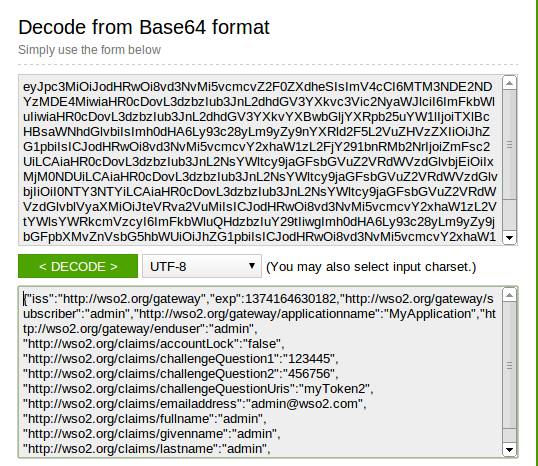 2) Get the oauth Token ( you need to get the base64 encoded value for (client id:client secret) value. 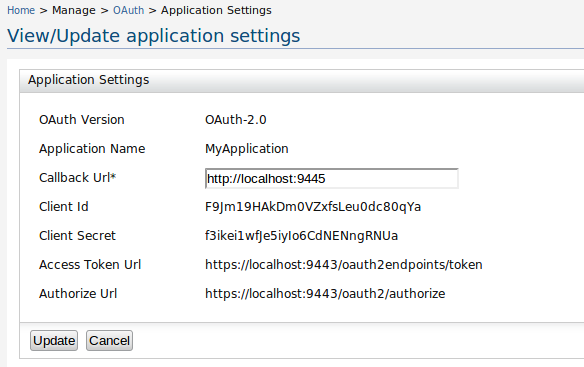 http://charithaka.blogspot.com/2013/06/invoking-wso2-carbon-admin-services.html on how to invoke admin services using SOAP UI. We shall now invoke the following service. Following is the output of the decoded value which has the user profile details of the user who generated the OAuth access token. If you need to send a SOAP message payload ever and if it resulted something like this. You need to add the XMLInputFactory.properties file with the following entry to CARBON_HOME/ (root) folder. I recieved a Raspberry Pi @ wso2con 2013. I was really happy after seeing this as i was planning to get down a one anyway. This is my first project out of it. Need some time to go for a real big project. Yes i have a pieces of my old nookcolor including its LCD ;). You need to configure your Raspberry pi with this tutorial. When you go to configuration screen make sure you enable ssh. So you can get rid of your monitor after that. Install a remote viewer so you can view your Raspberry Pi desktop remotely. 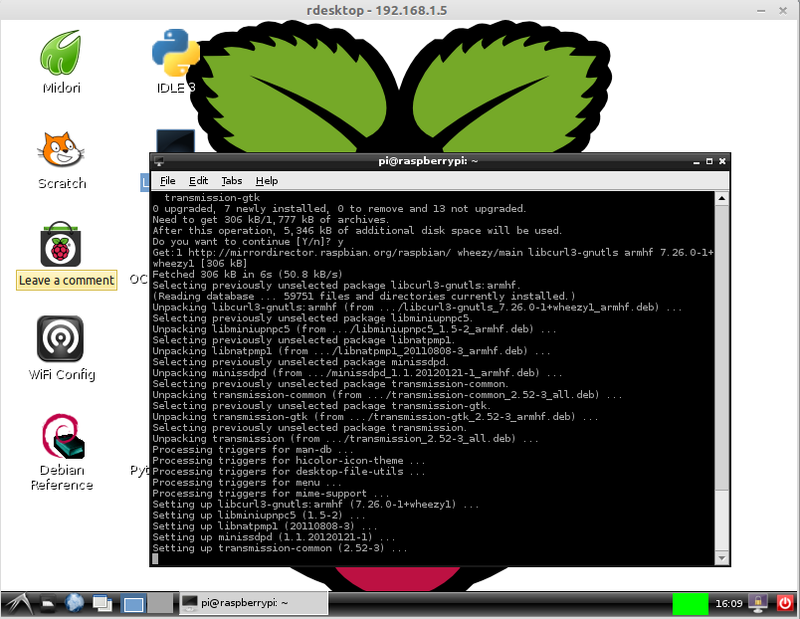 Install Transmission in Raspberry pi. So you can download torrents from Raspberry pi and SCP them to your local machine at anytime. There are few torrent clients available so you can try them if you do not like transmission. 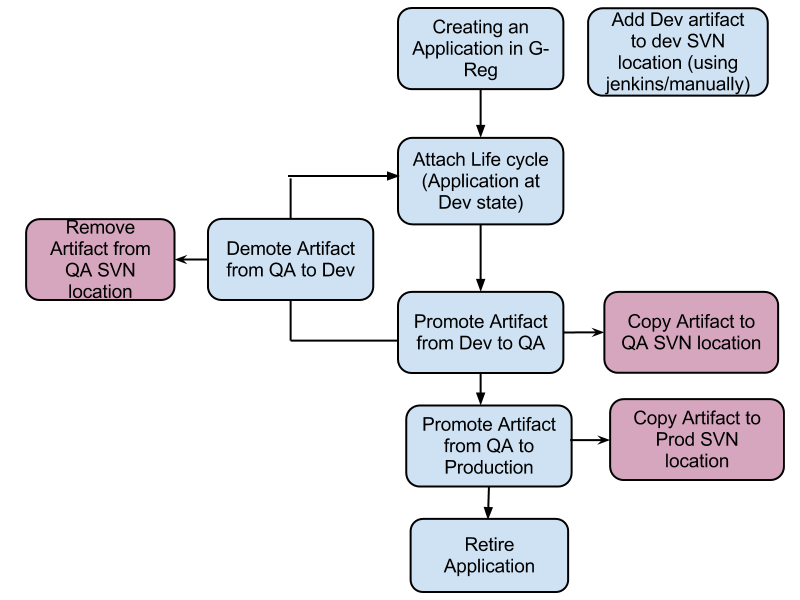 Copy svn-client-adapter-1.6.18.wso2v2.jar to G-REG_HOME/repository/components/dropins folder.